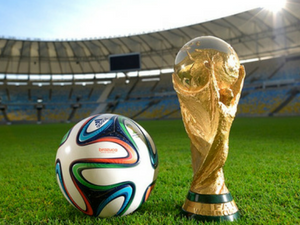 Fifa announced today that the number of football teams in the World Cup will increase to 48. Currently 32 teams take part in the competition but from 2026, another 12 will be added. There will initially be 16 groups of three teams, 32 of which will go through to the next, knockout stage of the tournament. Fifa president Gianni Infantino said that having more countries compete in the World Cup will help develop football as a sport. "There is nothing bigger in terms of boosting football in a country than participating in a World Cup." I think that is a good idea . Because more teams increase the difficult of the eliminatory of the world cup. I think that is a good idea to increase the competitors and another small countries will play the world cup ,the best tournament in the world. If there are more teams, the competition will be more interesting. For me is a good idea of the fifa but 32 teams are better than 48 teams. But I like football and this idea is good.